Thank you for requesting a service appointment with Sandstrom Auto & Truck Repair! Please provide the information requested below, and be concise but complete when describing the service you need or problem you’re experiencing. 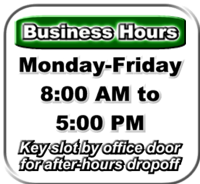 Remember that we’re open Monday through Friday, 8:00 AM to 5:00 PM – unfortunately we won’t be able to give any appointments outside of those hours, but you can always drop your vehicle off and use the key drop slot at the office after hours if that’s more convenient for you. Once we receive your appointment request, we’ll contact you as soon as we can to confirm your date and time. Thanks again, and we look forward to seeing you soon! Your name * Please provide your first and last name. Phone number * Please enter the best phone number to reach you. Requested appointment date Please indicate your preferred appointment date. Vehicle information * Please specify the year, brand/make, and model of your vehicle. Will you drop the vehicle off, or wait for service to be completed? I'll wait for it. I'll drop it off. Will you need us to shuttle you to and/or from your home or place of business while your vehicle is being serviced? Yes, I'll need shuttle service. No shuttle service needed. Would you like us to arrange a rental car for you while your vehicle is being serviced? Yes, I'll need a rental car. No rental car needed. Please describe the service you need and/or the problem you're having with your vehicle.